Only this unshakable awareness that nothing stands between you and God leaves you in the full blessing and great care of God. Fear comes up? Say (! ): Thank You, Jesus, through you, I am righteous and holy before God. You are no longer a sinner who needs forgiveness; you are a saint who (unfortunately) sins from time to time. For God, you are no more an evil-doer, but a righteous person, a saint (Colossians 1:22). How does that work? 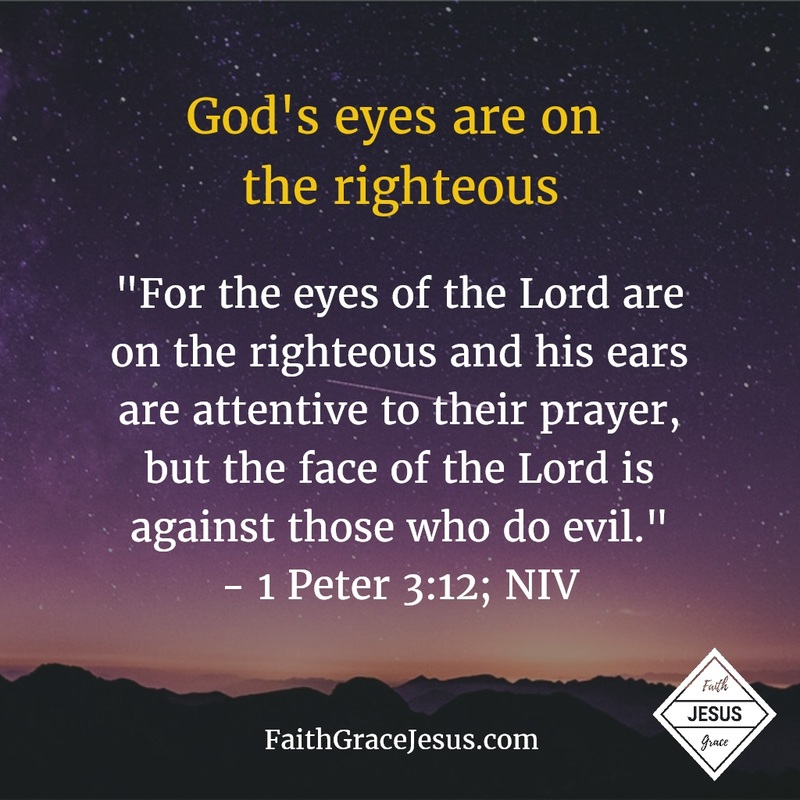 It is because God is looking at you through the perfect Jesus. This was already the case in the old covenant: the priest did not inspect the sinner, but the priest inspected the sacrificial lamb. If it was immaculate, then the victim was accepted. Your sacrificial lamb is the immaculate Jesus. God has accepted the sacrifice of Jesus for you. People used to bring animal sacrifices, which could not permanently wash away their sins. But the sacrifice of our perfect Jesus was so great that it only had to be done once for all. We are now forever reconciled with God. God has replaced the old covenant with the new covenant through Jesus: “And by that will, we have been made holy through the sacrifice of the body of Jesus Christ once for all.” (Hebrews 10: 10; NIV). Start enjoying and being grateful for the “made holy once for all.” Do not reject this amazing, undeserved gift.